Are You Scared To Get Happy? 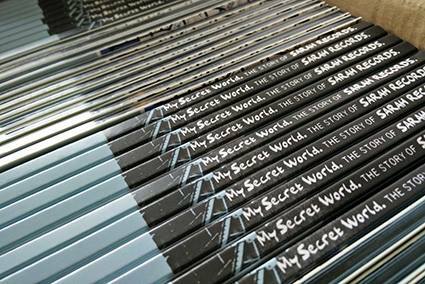 The DVD of My Secret World has, I’ve just discovered, now sold out. Which is both good news and bad news, depending on who you are. Lucy is contemplating making some more in the New Year – albeit in a more basic version, without the postcards and whatnot – but will only do so if she thinks there’s a big enough demand. So, if you’re one of those people who didn’t get your act together last month, it probably makes sense to drop her a line and register your interest. You can do that here. If, on the other hand, you can’t imagine why anyone would want to watch it twice, or you have some unwelcome relatives staying and think that playing it repeatedly over the space of a weekend might make the antipathy mutual, you can STREAM it: it costs £4 for 48 hours, or the exact opposite of a NCP car park in central London. Those of a more bookish bent should take note that stocks of Popkiss seem to be running low too, though again we have fingers crossed for a reprint. In the meantime, Bloomsbury are having a Christmas sale till 13th December, meaning you can get it for £10.19. Plus p&p, unless you’re ordering other stuff too (check out their 33 1/3 series – someone’s written a whole book about OK Computer… why would anyone do that?). Also, from 7th December, you’ll be able to buy eBook versions for £10.79 – again, that’s a sale price, but you can pre-order. And finally… if you’re slightly distrusting of the cool, even-handed, non-partisan and thoroughly objective approach to the label’s history taken by both book and film and would prefer something a bit more prejudiced, blinkered and skewed, then you might like to know that we’ve just uploaded the text from There And Back Again Lane (SARAH 100). It’s a 22-page 8MB pdf and you can find it here. Just a quick reminder that today is the official publication date for Popkiss, Michael White’s lovely new book about Sarah. So any shop should now be able to order it for you – if they’ve not already got it in stock, of course! Any bookshop I mean, obviously. Don’t go making a fool of yourself in Halfords. More details, if you need them, are on the Popkiss page. A final reminder that tonight, Thursday 5th November, sees the launch of both Popkiss, Michael White’s fabulous book about Sarah, and also the DVD of My Secret World, Lucy Dawkins’ equally fabulous film about the label, which has extra minutes and postcards and other bits and bobs. We’ll be there (as will Lucy) doing a Q&A and taking questions from the floor or, if the drugs have worn off, from anyone who’s sitting or standing on it. And, just to clarify, you can just turn up – you don’t need to have pre-booked. Just don’t be late. To find out more, go to the Rough Trade listing. As previously mentioned, Michael White’s wonderful Popkiss is being launched at Rough Trade East on 5th November. Just to add to the excitement, though, this event will now also see the launch of the DVD of My Secret World. There’ll be a Q&A/chat with our good selves and My Secret World director Lucy Dawkins, and I think we’ll be showing a bit of the film too. If you’re Canadian, then you might like to know that Popkiss will be launched in Michael’s hometown of Vancouver on Saturday, 21st November. The event will run from 4pm to 6pm, Upstairs at Campagnolo (1020 Main Street), and will feature a Q&A with Andrea Warner of CBC Music and Rose Melberg playing some of her favourite songs from the Sarah catalogue, hopefully including Let’s Build A Dyson Sphere by the Golden Dawn, but almost certainly not. You might also like to know that ice hockey isn’t a real sport, but this probably isn’t the place. And just quickly on the London launch, we can now confirm that Alexis Petridis will be chairing the Q&A discussion at ROUGH TRADE EAST on 5th November. November 5th is, of course, traditionally the day on which, as soon as it gets dark, people in Britain gather in groups in order to “ooh!” and “aah!” at the extraordinary sights, noises and smells being created in front of their amazed eyes. 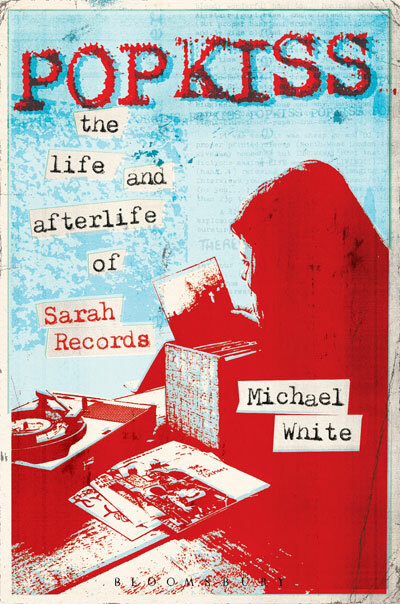 And this year looks like being no exception as, on that very day, Popkiss, Michael White’s wonderful new book about Sarah Records, will be launched with an event at Rough Trade East. You can find out more details in Rough Trade’s own listing, but the gist is that copies of the book will be on sale two weeks ahead of the official publication date and there’ll be some sort of talk/discussion/game-of-charades/rustic-dance involving Michael, us, Lucy Dawkins (who made My Secret World) and chair Alexis Petridis. To guarantee a place you can pre-order copies online and then there’ll be a wristband. I know, wristbands. Get us. 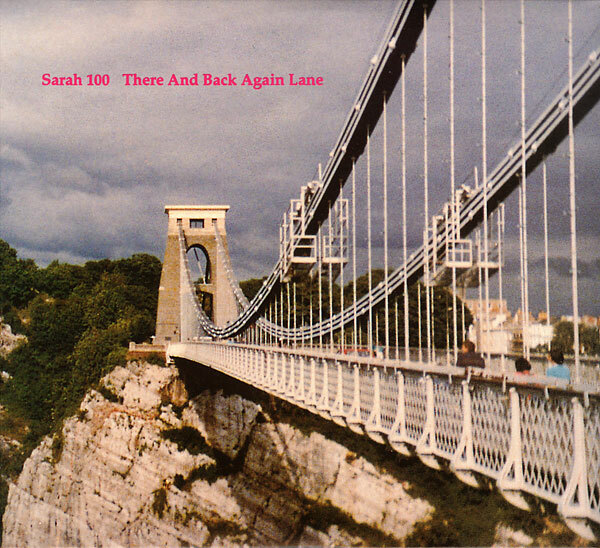 Sarah was a Bristol-based independent record label, active between November 1987 and August 1995. This site was launched in 2015 to archive photos, press, posters and other artefacts; it’s a work in progress. Click on any image to make it larger; to make it smaller, stand further back.